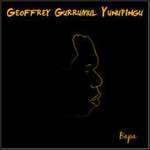 Geoffrey Gurrumul Yunupingu is the lead singer of the Saltwater Band and the former keyboard player and guitarist of Yothu Yindi. He also forged a successful solo career. 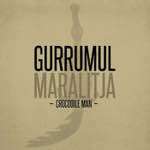 He became the highest-selling Aboriginal artist in history, selling more than half a million copies of his albums, singing in Yolngu and some English. Yunupingu died on 25 July 2017, aged only 46. 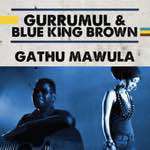 The album Gurrumul won the 2008 ARIA Best Independent Release Award and the 2008 ARIA Best World Music Album. Geoffrey Gurrumul Yunupingu, Delta Goodrem & musicians of the Sydney Symphony. Gurrumul’s The Gospel Album is a dedication to his mother and aunts, who brought him up with songs and lullabies from the church at Elcho Island. 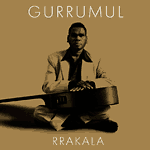 As a small boy Gurrumul was not only influenced by the traditional music of his clan but by the gospel music he heard every Sunday at the local Methodist church. The Gospel Album is a re-imagining of the spiritual songs that came to north-east Arnhem Land via Christian missionaries. 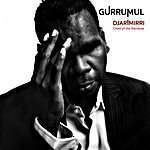 This is Gurrumul's final album. It's a collection of traditional songs and harmonised chants in his traditional Yolngu life that have been mixed with orchestral sounds, finalised just weeks before his death. Recorded with members of the Australian Chamber Orchestra and Sydney Symphony Orchestra.